Visible to the naked eye, this object was known since prehistoric times. It was Galileo who first resolved it into a "mass of more than 40 stars" with his telescope in 1609. M44 is estimated to lie 577 light years from earth and be approximately 730 million years old. 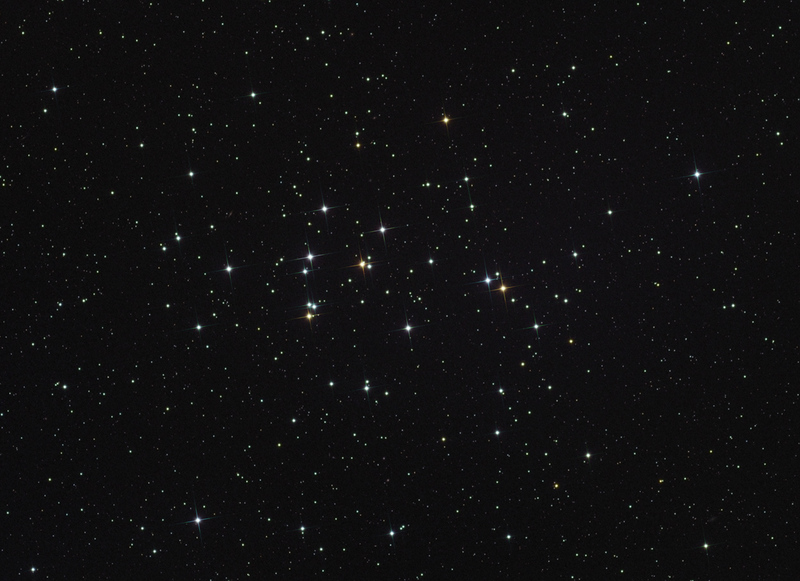 Curiously, the proper motion and age of this cluster link it with another naked eye cluster, The Hyades in the constellation Taurus. These two clusters are thought to have a common origin in a gas cloud some 800 million years ago.